The Florida Department of Transportation owns a 25-acre parcel of land located just north of Melburne Blvd. and just east of 40th Street in the City of Tampa. 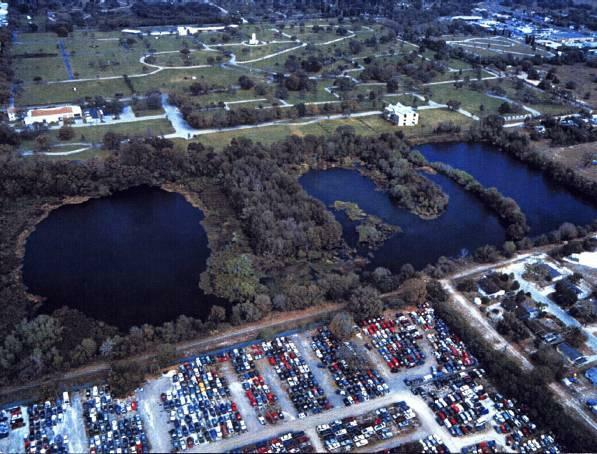 In the 1960s, the pond was used as a borrow pit for road construction projects in the area. 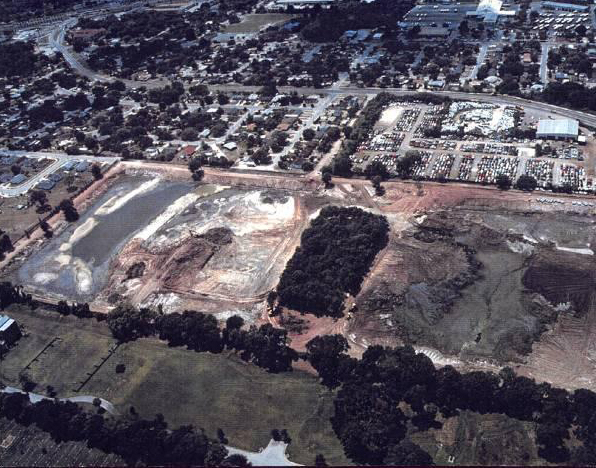 The excavated portion of the site is used for stormwater treatment. A 10-ft x 9-ft concrete box culvert and several smaller pipes discharge into a wet pool located on the site. The outfall for the system is also located on the 10-ft x 9-ft concrete box culvert. Therefore, much of the stormwater does not enter the pond area but simply discharges downstream to McKay Bay. 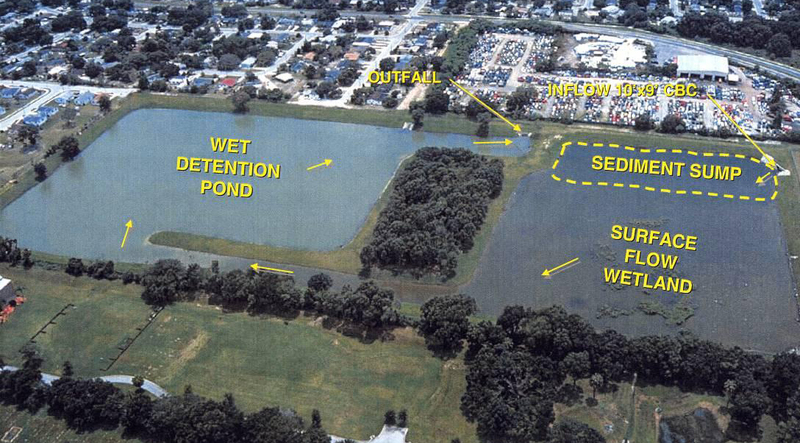 In early 2000, ERD was selected to design a stormwater treatment facility using the available land area. 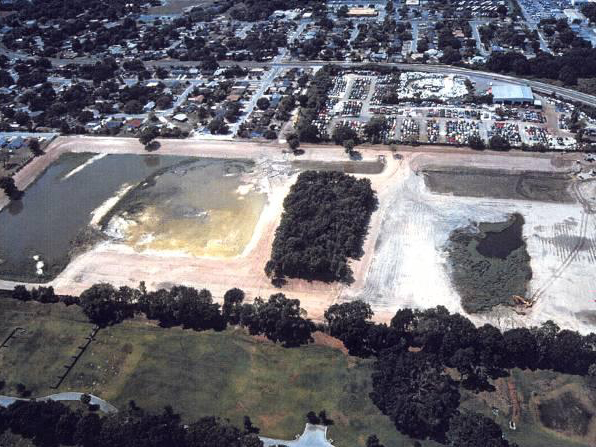 During 2000, ERD completed the Preliminary Design Phase which included conducting an aerial and ground survey, geotechnical studies, hydrologic and hydraulic modeling of the watershed, assessment of on-site upland and wetland communities, and development of a preliminary design for retrofitting the site. During 2001, ERD prepared construction drawings, technical specifications, contract documents, and opinions of construction cost for 60%, 90%, 95%, and 100% submittals. The project included the construction of 6.6 acres of littoral zone, a 10-acre wet detention pond, and modified outlet stormsewer piping. Permit applications were prepared and all permits were received, including an FDEP ERP Application, an ACOE Permit Application, and an EPA NOI Construction Permit. ERD was responsible for providing bidding and construction phase services.